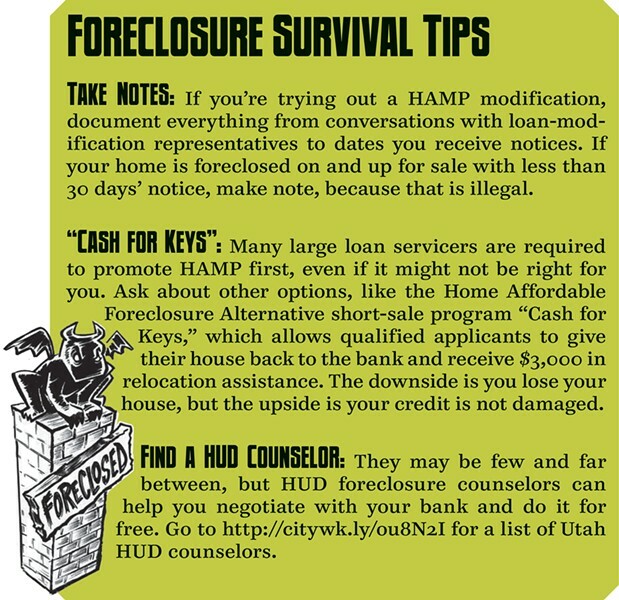 In the 2011 legislative session, Sen. Curtis Bramble, R-Provo, passed Senate Bill 261, a bill he says was “more than a shot across the bow” for banks performing illegal foreclosures in the state. The bill makes specific in Utah law that foreclosures need to be executed by agents who have the physical deed to the house. The foreclosing entity likewise cannot fail to inform the homeowner that despite them being on a reduced payment plan, it doesn’t stop them from foreclosing. Penalties from the bill include having greedy banks and servicers pay plaintiffs’ attorney fees, as well as a $2,000 fine or special damages, whichever is higher. Bramble says this law gave the Utah Attorney General’s Office the “teeth” to go after reckless actors like Bank of America, who are currently negotiating a settlement. In tackling the issue, the Legislature is put in a precarious position, Bramble says. “On the one hand, preserving property rights is critical; on the other, protecting the borrower is also critical, and at the same time, preserving the rights of the person loaning the money is critical,” Bramble says. That’s three prongs of the issue, but still doesn’t take into account the economic and political reality that establishing programs to help save Utahns’ homes from foreclosure and zombification may require expanding government—a move not often welcomed by Utah’s conservative, small-government-minded Legislature. Bramble says he and his colleagues on the Hill are ready to take the issue further in the next session and are even open to the idea of finding a way to provide more funding for nonprofit counselors, though he prefers the idea of creating a state foreclosure-arbitration office. Such an independent office could work much in the same way a Utahn goes through divorce mediation as a means of savings costs in the long run. With a foreclosure-arbitration office, an independent state employee could be a referee between bankers and homeowners, both to keep homeowners from abusing the process and protect homeowners from being bullied by big banks. Bramble says so far nothing is off the table. Like advocates Fields and January, he believes Utah has yet to feel the full brunt of the foreclosure crisis. For Fields, any settlement the state brokers with Bank of America could go a long way to funding arbitration programs, HUD counselors and even a legal fund for people fighting wrongful foreclosures. Zombie homes are here, and they’re slobbering at the chance to gnaw away at the values of the homes around them and, in turn, infect an economy that affects everyone—even those who don’t own homes. With advocates warning that the HAMP program can do more harm than good, and with the state still locked in legal negotiations with Bank of America, homeowners are still looking for help and will continue taking it wherever they can get it. For Cody Livingston, help came too late. 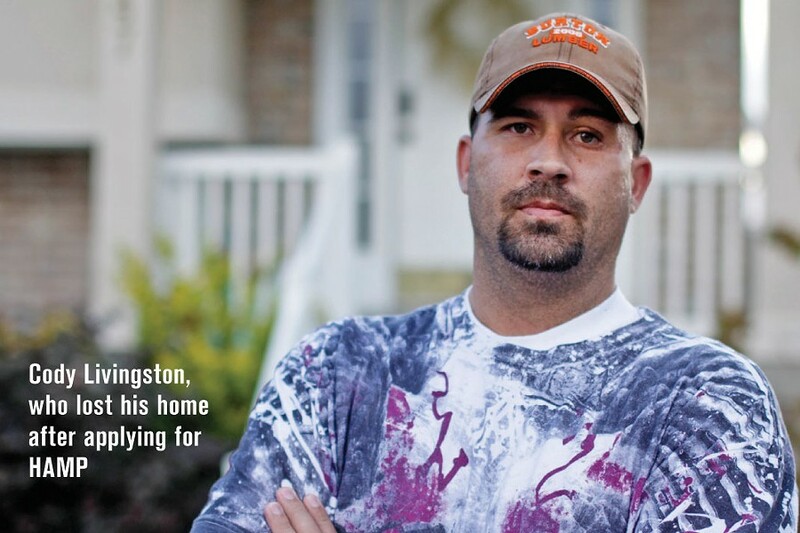 Livingston, now 34, was newly engaged two years ago when he started building his home. It was a night-and-day labor of love to finish the home in time to have it ready for his wedding. But, in summer 2010, Livingston was evicted from the home he had built with his own hands. Like many others, Livingston’s saw his credit take a pummeling because of the foreclosure process; also like many others, he was strung along for 11 months by Bank of America’s loan-modification customer-service representatives who, he says, reassured him that his reduced payments wouldn’t count against him since he was only moments away from getting his permanent modification. Now fighting to repair his credit and get his finances out of the red, Livingston has been forced to lease a home for his family, in the same neighborhood as the home he had built.